Sacramento is not only the capitol of the state of California, but one of its most diverse and vibrant economies. The town specializes in everything from education to tourism to healthcare to advanced technology, with businesses flocking here from across the state and all over the country. AirFreight.com matches this bustling business activity with flexible air transport services, so that every company in the area can get the supplies it needs. 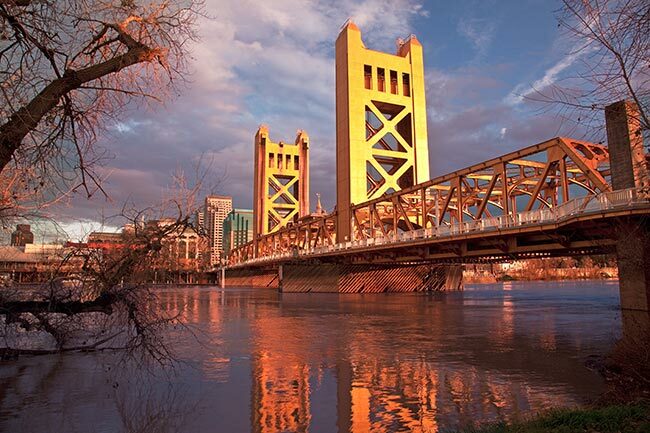 Sacramento is called the “City of Trees” for its enormous, beautiful canopy, which along with the California Hall of Fame, the Sacramento History Museum, and the California State Railroad Museum brings in a constant stream of tourists. Local hotels, restaurants, and other hospitality businesses need to cater to those tourists, which requires regular, timely supply shipments. Frequent shipments are also necessary for the town’s many hospitals and medical clinics, which serve not only Sacramento proper, but many of the 2.1 million people in the surrounding metropolitan area. Combined with the needs of local universities and the state government, this is a recipe for constant traffic congestion, as ground shippers crowd the roads trying to serve their many local clients. AirFreight.com gets around this congestion by coordinating air cargo services. Operating in Sacramento proper as well as in Davis, Yuba City, Roseville, Stockton, Chico, and Rancho Cordova, we deliver supplies swiftly and safely to every major community in the region. This is a boon to local businesses, hospitals, and other organizations, especially those with branches in multiple parts of the Sacramento area. Shipments from Any Starting Point - No matter where Sacramento businesses get their supplies, we have the personnel to serve them effectively. Our coverage network extends through all major American and Canadian metropolitan areas, meaning we will have staff on site at any airport from which you want to send in your cargo. We can also ship from Sacramento to any receiving airport in the US or Canada if you’re shipping out finished goods. Superior Levels of Safety - We put safety above all other concerns when shipping delicate, perishable, or other critical freight. Thanks to our years of experience serving clients from dozens of industries, we know all the threats to your inventory that might arise in transit. We also understand the storage methods necessary to keep those threats to a minimum, and make sure that the airline shipping your goods takes such storage precautions. Consistent Support - From our customer support line, you can get key information on current shipments, as well as free estimates for future ones, 24 hours a day, 7 days a week. Air Cargo Charter Services - We typically book you space on scheduled flights, but if that isn’t a possibility, we can charter a new flight for the sole purpose of carrying your goods. This gives you the flexibility to ship on whatever timetable works best for you, all while letting us respond quickly and effectively to delays. For more information or to book your next air freight delivery, contact AirFreight.com today at (415) 671-8111.